Welcome to the next post in my Real Living series which I’m really excited about. This week we’re doing something slightly different and I’ll be doing two posts on the same room. The reason? Well, very shortly I will be launching a new service – Love Chic Living Consults – where I will be offering my interiors inspiration to help solve decorating dilemmas. In this Real Living post we’re going to be putting that service to the test and I will be showcasing what I can offer. And so, onto the room. 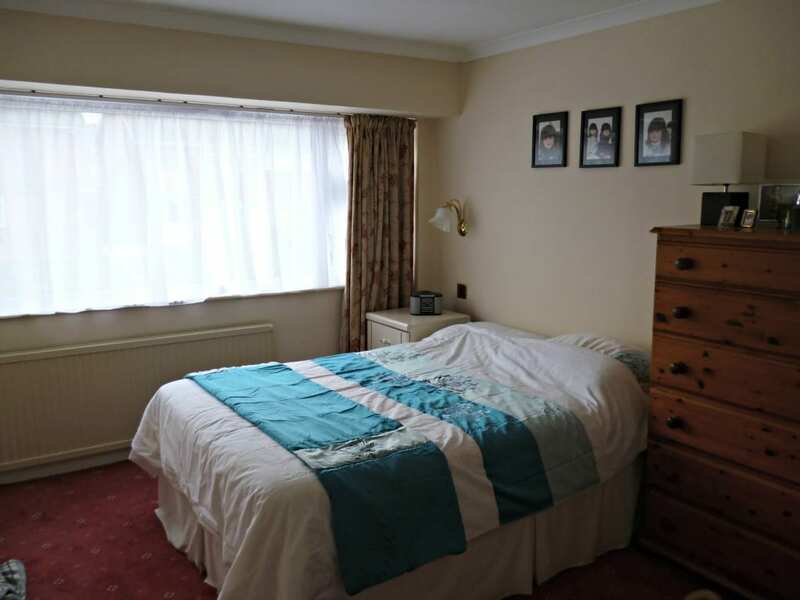 When we moved in to our home three years ago, we were quite pleased that at least the main bedroom was bland and clean as there were many other areas that needed our immediate attention to work on but now it is feeling tired and in desperate need of a makeover. 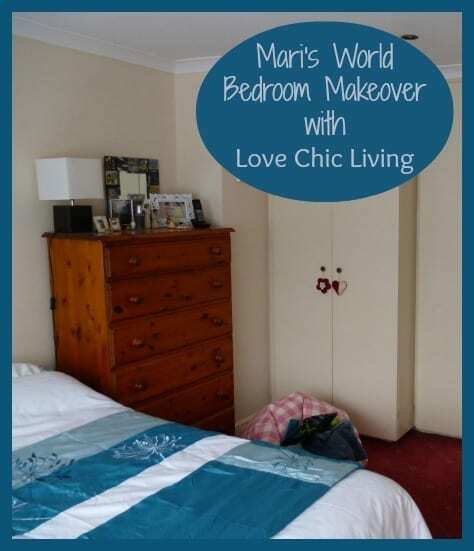 I adore Love Chic Living and would like some expert advice on how to move forward making this room the ‘sanctuary’ for mum and dad to escape to after a busy day. 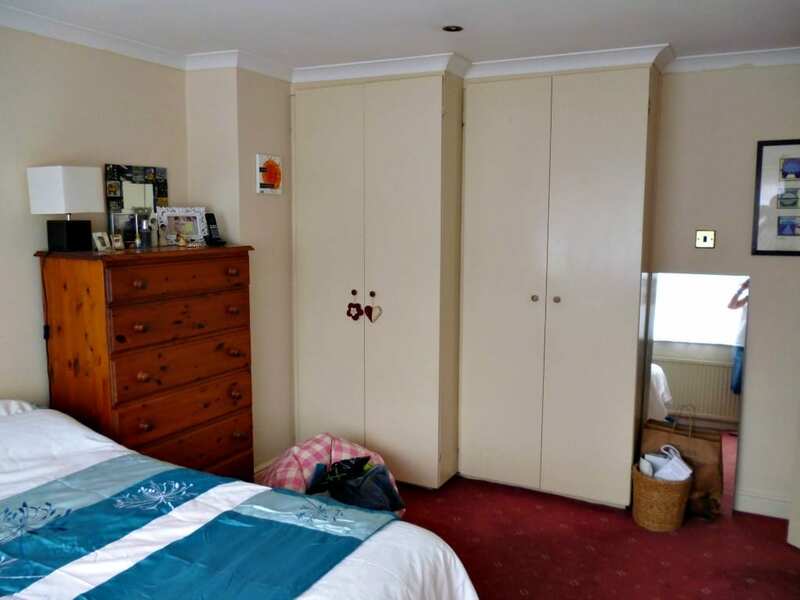 You can see it’s a good size room and a previous owner has very cleverly made built in wardrobes which, with a good afternoon’s work, could house all of our clothes and most likely linen too. Currently there are no shelves or drawers in them but this could be fixed. I love the large window. I have a very practical but cheap net curtain at the window as we live on a through road, I would LOVE plantation shutters but fear for a 3 m window are out of our price range for the moment! The lights are spots in the ceiling and neither mine nor hubbies DIY skills are up to doing much about that! The curtains are also inherited from a previous owner. There are two wall lights for reading – one hidden behind the tall chest of drawers. The carpet is very good quality and although not my choice of colour or pattern it’s only 4 years old and seems such a waste to rip it up and such an expense to change. It’s sad to say we have never spent a lot of time thinking about furniture in our bedroom either, always opting to invest our money elsewhere in the house but the bed is good and the mattress is new. 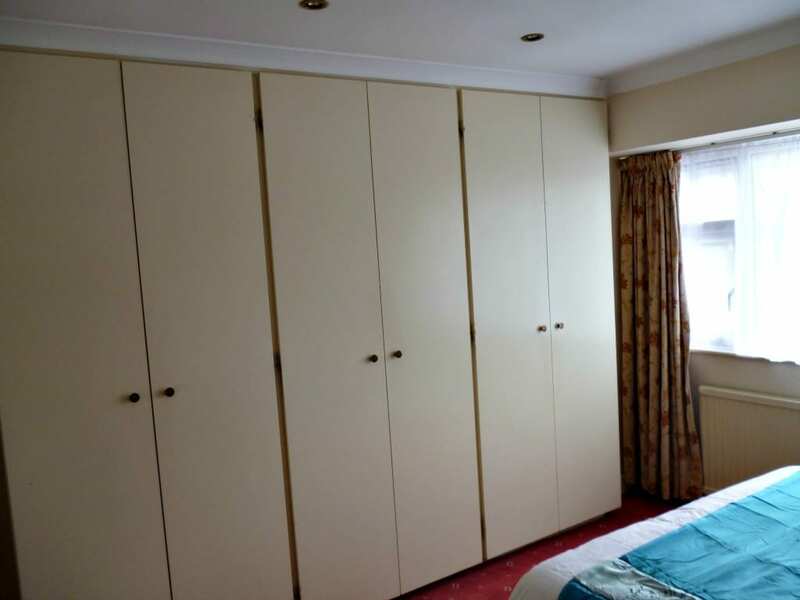 The chest of drawers is there as none of the built in wardrobes have drawers in them! As colour palettes go I like white. I would never use anything too ‘girly’ in there and am drawn to navy, silver and grey but we still have the pink in the carpet. Can you help? I’d love to make this the perfect chill out zone for husband and I to re charge our batteries in. Oh and one other request, if husband has his way he’d put a wall mounted television in there for when we both have different programs we want to watch, any ideas where to put it? So there we go, Mari would like some ideas on how to make the best of her bedroom and turn it into a sanctuary, whilst utilising some of the current features. What would you do? I’m sure you have some ideas. It might be fun to play along and see if we come up with similar ideas. In order to give Mari the inspiration that she’d like, I’m going to put together my ideas in the form of a moodboard and come back next week to show what I think. See you then!